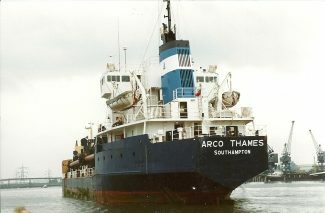 The dredger ARCO THAMES in dry dock and in the river. 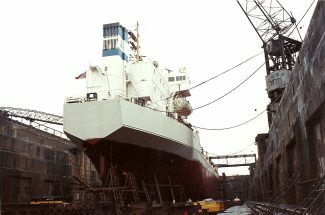 She was built in 1974 for A.R.C. 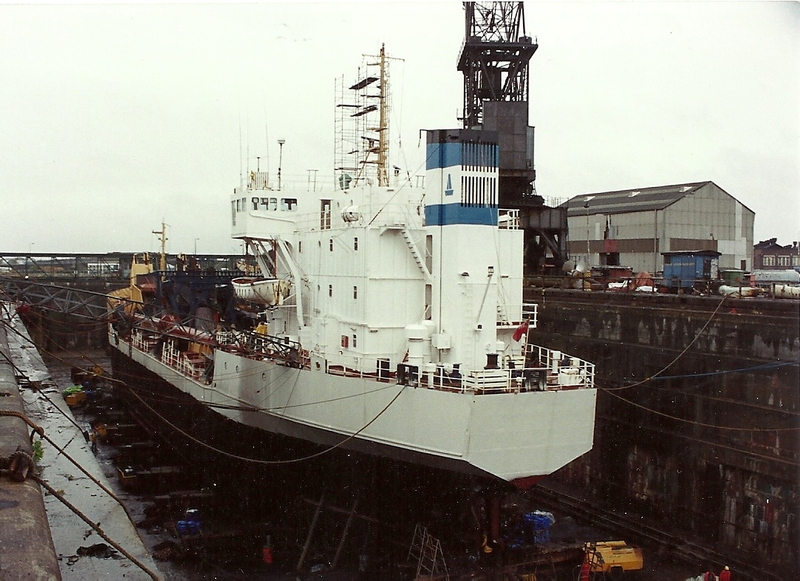 Marine ( Hanson Aggregates ). In 2001 she became the PELICANO and in 2008 the THAMES.